Many people are looking for that brighter, whiter smile but did you know that research (1) seems to indicate that it’s not actually a white smile which people find attractive, rather, it is a yellow smile which people find unattractive. Whitening had no effect beyond that produced by natural colouration. This indicates that these colour induced alterations in ratings of attractiveness are mediated by increased/decreased yellowing rather than whitening per se. As we get older our teeth yellow with age and whitening them back to their natural colouration is all that is required to achieve the most attractive smile, so what is the best way to whiten your teeth? The best way to whiten teeth. Restorative treatments such as immediate veneers, dental veneers dental crowns. The first step to enjoying whiter teeth is to maintain good oral hygiene. Firstly this will help keep your natural teeth as white as possible, if plaque (2) is kept at bay then staining is less likely to build up on your teeth. Secondly, before you have any of the other teeth whitening treatments you’ll need to ensure that your teeth and gums are in good condition. Most dentists will not offer any form of cosmetic or whitening treatment if you’re oral hygiene is not up to scratch! Experts warn that some products which claim to whiten could actually harm your teeth, gums and even your stomach lining. While some of these products may work their effectiveness and safety isn’t monitored by a dental professional and therefore they come with some risk if you use them at home. The practice of dentistry is limited to GDC registrants. It is the Council’s view that applying materials and carrying out procedures designed to improve the aesthetic appearance of teeth amounts to the practice of dentistry. So too does the giving of clinical advice about such procedures. Therefore all tooth whitening procedures, including bleach and laser treatment, are seen as the practice of dentistry by the General Dental Council. It is important to know the teeth whitening products contain an amount of peroxide, this peroxide can be dangerous if not used correctly and it is for this reason that we recommend you only visit a suitably qualified dental professional for your teeth whitening. It will be extremely close-fitting ensuring that you use the minimum amount of gel with each application, this means the gel goes further and lasts longer. The tray is customised for you, it can only be used by you. It will put a very slight amount of pressure around the tooth/gum margin. This is to create a seal in this area to prevent the peroxide gel from touching your sensitive gums. These design features are extremely important to ensure that the treatment is not only effective but safe too, only a qualified dental professional is able to prescribe one of these trays. Something to watch out for, the bleaching tray is made from a thermoplastic, this means you will need to keep tray away from hot/warm water as it could distort. Restorative treatments such as veneers or crowns. In some extreme cases with very dark teeth conventional teeth whitening is not able to lighten the teeth enough. As you can see from the case above these teeth were particularly dark and the patient wanted them particularly liked, there was also another complication, and existing Crown on the front tooth. Dental crowns and veneers cannot be lightened with teeth whitening techniques, so if you have an existing restoration then this will need to be replaced as part of the whitening process. 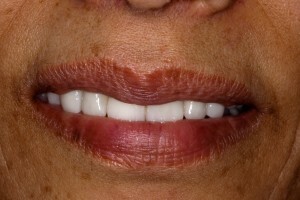 This lady wanted to improve her smile, have it more natural looking and whiter than it was before so we prepared her teeth for porcelain crowns to achieve an excellent result, what do you think? Many times a combination of treatments can be used to whiten your teeth, you may have a single tooth which is too dark to whiten using the bleaching method, but we may be able to whiten the surrounding teeth and then use a single dental veneer or crown on the very dark tooth to whiten that the same shade. The cost of teeth whitening treatments will also vary enormously depending on the complexity of your case. To give you an idea of dental fees please visit our fee guide. By far the cheapest way of maintaining unnaturally bright smile is to keep your teeth in excellent dental health. This will keep plaque at bay and ensure that the buildup of any staining on your teeth is kept to a minimum. The next most cost-effective method is to consider teeth bleaching however this is not always suitable for the reasons already stated. Blue Court Dental Centre is a local dentist in the heart of Harrow, Middlesex. They offer a range of dental treatments including teeth whitening, dental veneers and oral hygiene programs to help keep your teeth looking fresh and bright for life. This entry was posted in Dentistry, Share This Post, Smile makeover and tagged dental veneers, Home whitening, teeth whitening on 20 December 2014 by Dr Nishan Dixit. As the X-Factor competition comes to a close once more the interest in each of the contestants rises, and with that comes the pressure for them to look like a superstar. And this year James Arthur is no different! When Cheryl Cole one the talent show a few years ago when she joined girls aloud she also had dentistry to enhance her smile, and many people are aware that Tulisa, one of the judges on X factor also had cosmetic dentistry. Of course it is down to James Arthur’s dentist to decide exactly what type of treatment is suitable for him, and it is not for us to make that decision however we can make some suggestions based on the photographs. The purpose of doing this is so that you can see the similarities between your own situation and James’ situation so that you can decide which type of treatment might be right for you. 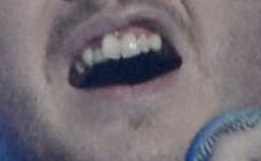 As you can see James is teeth overlap quite considerably, especially the front tooth (known as the central) to the left of the photograph. 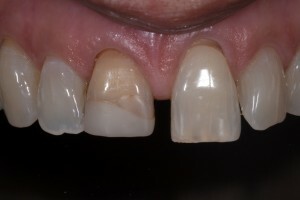 This has the effect of making the next tooth along (known as the lateral) to look darker. This effect is simply caused by the shadowing of the rotated central. When this happens it is sometimes possible to use orthodontics to straighten the teeth out, and the systems commonly used are as follows. 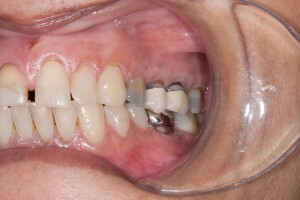 These are almost invisible braces and are typically worn for around 12 months. 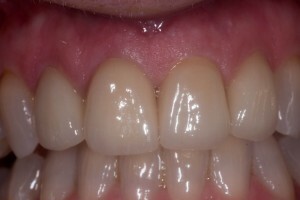 Every two weeks or so you will wear a new clear aligner to align your teeth to the new position. 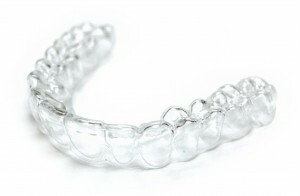 You will be prescribed a series of aligners, each of which move your teeth a small amount towards their final position. From what we know this was the type of brace that Cheryl Cole had to move her teeth. The Inman aligner is a new form of rapid orthodontics. The appliance is removable and works on the principle of pushing and pulling your teeth at the same time in the direction required. 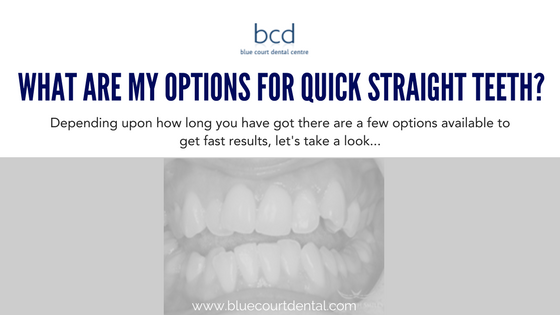 Sometimes the final result can be achieved in around 12 weeks, which is much faster than any of the other orthodontic systems around. This is one of the most modern systems and involves the use of fixed ceramic brackets. Because Six Month Smiles is a fixed orthodontic the results can often be achieved faster than with removable orthodontics, typically within six months. This type of orthodontic brace has also been worn by many celebrities including Tom Cruise and Faith Hill. Moving crooked teeth to the new position is generally the preferred option as you maintain your natural teeth. In some instances this may not be possible, or indeed the client may require a more rapid alternative. If you look at James Arthurs lateral on the left-hand side of the photograph (his right hand side) this tooth is set back. It might be possible in this instance to add some instant veneer bonding material to the lateral to to build it out somewhat. 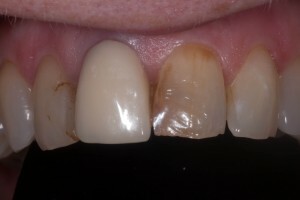 The disadvantage with this technique is that there will always be this bonding material on the outside of your tooth, this does have a tendency overtime to discolour so regular appointments at the dentist will be required to ensure the tooth stays nice and white. These are used in exactly the same way as instant veneers, however the results are not as instant (typically taking three weeks) however the advantage is that ceramic veneers will not stain the same way that instant veneers may. The this advantage with ceramic veneers is the slight possibility that they could chip, so you need to be aware if you are wearing veneers that chipping is a possibility – although highly unlikely with modern materials. 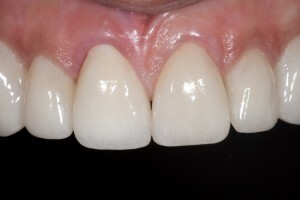 More information on ceramic dental veneers. As James Arthur increases in popularity and his photographs are used more around the Internet it will be interesting to see which type of treatment he opts for. Which ever treatment James decides is best Blue Court Dental Centre in Harrow, Middlesex sincerely wish him all the very best with his new smile and new career. This entry was posted in Cosmetic, Dentistry in the News, Orthodontics and tagged clear braces, dental veneers, Inman Aligner, instant veneers, six month smiles on 12 December 2012 by Dr Nishan Dixit. Are you concerned about the look of your teeth? Have you considered dental veneers in the past? Are you looking for more information on dental veneers? More and more people in the Harrow area have had dental veneers, and are now smiling with confidence. 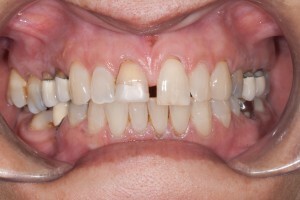 These veneers are a modern way to have whiter or straighter teeth, or to disguise chipped or broken down teeth. Dental veneers are thin shells of specially made dental ceramic made by a skilled dental technician to a precise prescription written by the dentist. These thin shells fit precisely over your existing teeth, with the outer layer of the dental veneers being the perfect colour and shape. The dental veneer is then the part that other people see and will look exactly like natural, brighter and whiter straight teeth. How our dental veneers made? Your dentist will decide on the number of dental veneers that I write to help you achieve the smile that you desire. It is generally considered best practice to opt for the minimum number of veneers, in order to achieve your ideal smile. 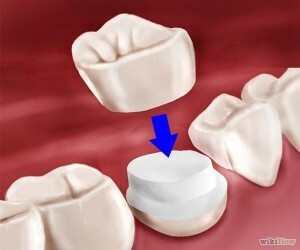 The dentist then takes a mould of your teeth, which is sent to a dental laboratory. This dental laboratory then pour some high strength dental plaster into this mould to create an exact replica of your current teeth. The dental technician will then craft your new dental veneers over the top of this mould to the exact prescription of the dentist, taking into account the final position, colour and shape that you would like your new dental veneers to be. This is a very difficult question to answer. The most common reason that dental veneers are replaced is either due to the patient getting older (which unfortunately we all do) or the veneer chipping. 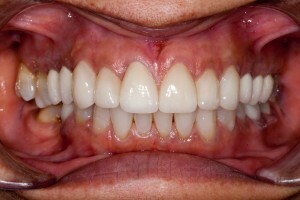 Replacing dental veneers due to age. When a dental veneer is made for the first time, it will fit precisely the gum margin. However, as we age this gum margin moves and the tooth appears to get longer, hence the expression longer in the tooth. 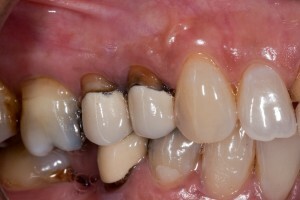 If the dental veneer is a different colour from the underlying two, this margin, or junction, will now be exposed. 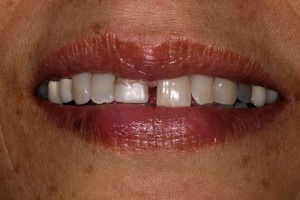 In order to disguise this a new dental veneer can be made which extends down to the new gum margin of the older patient. Replacing dental veneers due to chipping. If the veneers are carefully looked after, they should last for many many years. 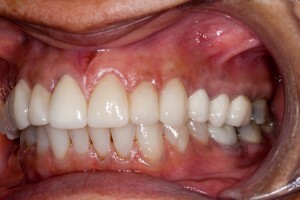 The most common reason that veneers chip is if they are hit with a glass or mug whilst the patient is drinking. 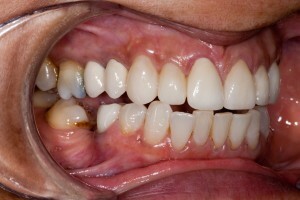 The only way to prevent dental veneers chipping in this way, is to be more careful! And remember that natural teeth can chip this same way to. What to do if you want dental veneers. If you are unhappy about your smile, then the best thing to do is to either request a cosmetic consultation at our Harrow-based dental practice or download our free guide to a confident, whiter and straighter smile with dental veneers. This free information pack for dental veneers has been specially written to include all of the options for cosmetic dentistry, and will give you an insight into whether veneers are right for of cosmetic dental option for you. This entry was posted in Cosmetic and tagged dental veneers on 3 September 2012 by Dr Nishan Dixit.